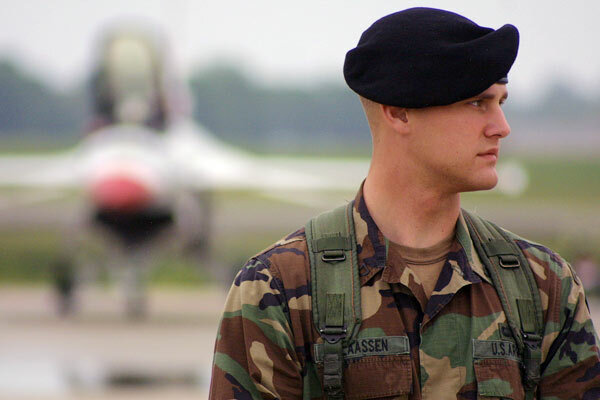 United States Air Force Sgt. Klaassen keeps a watchful eye on the crowd at the Joint Services Open House airshow at Andrews Air Force Base. May 18, 2003 - United States Air Force Sgt. Klaassen keeps a watchful eye on the crowd at the Joint Services Open House airshow at Andrews Air Force Base. This year's airshow is being held under tight security based on the possibility of a terror attack on the large crowd gathered.